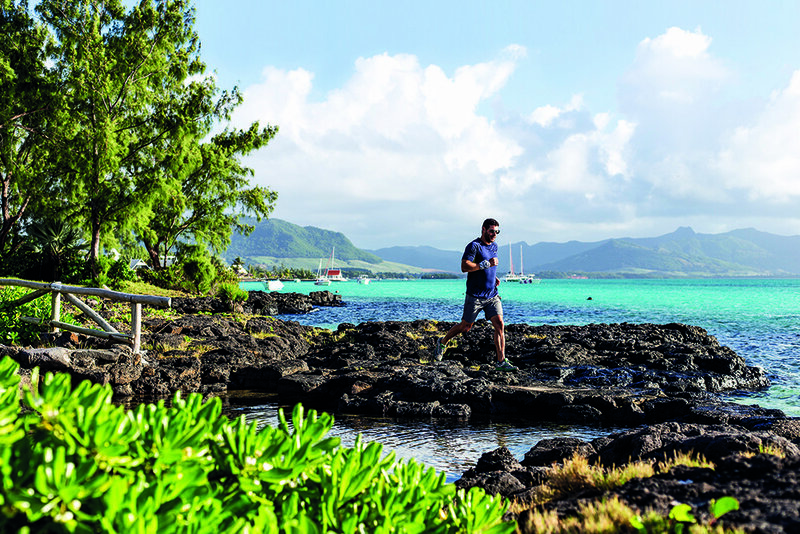 Mauritius is phantasmagorical, each sight more magical than the last. Coming from SA, our winter moodiness emphasised this ethereal quality; a warm-temperate climate makes this island the perfect escape from our coldest months. If God was sparing with the Sahara, He threw the whole palette at Mauritius. Everything is thick with colour: rich, vivid, cloud-filled sunsets and sunrises, and dense, dark-green vegetation that extends from the mountaintops to within a few feet of the ocean. Beneath the turquoise surface, within a couple of flipper kicks from the water’s edge, there are vibrant coral formations abundant with luminescent life: angel, damsel, clown and butterfly fish, eels, and purple urchins with spines like porcupine quills. Travel gets the synapses firing and the brain excited; everything is new. 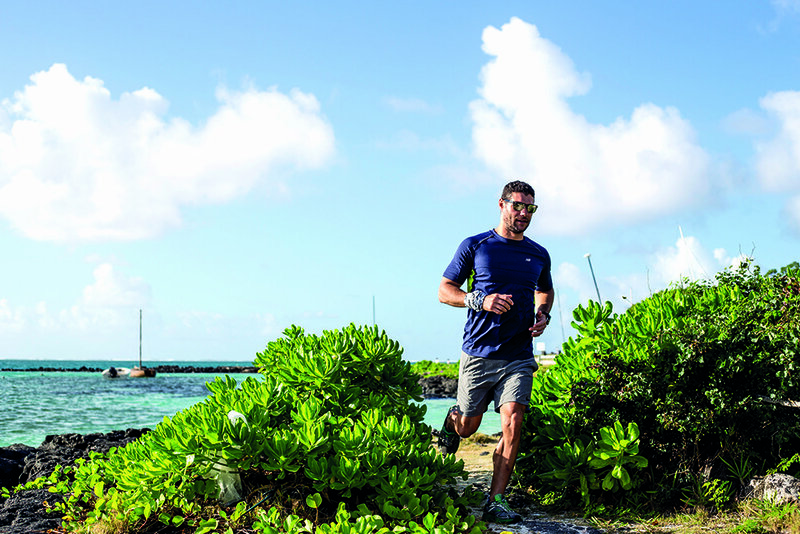 Running is one of the best ways to open up the sensory conduits and absorb those first-time sights, sounds and smells. We rent a self-catering villa overlooking La Gaulette, Rivière Noire (Black River) on the south-western side of the island, so named because it is the driest of the island’s Districts. The temperature remains constant around the mid-20s – ideal for the Dodo Trail (50km/25km/10km/5km), which takes place here every year in July. Renting a car allows us the freedom to explore. Black River is home to the equally-famed Tamarin Bay, for surfing, and One Eye at Le Morne, for kitesurfing; the surf ‘vibe’ is plentiful. There are surfing-themed ‘wrapped’ vehicles, surf shops and schools aplenty. 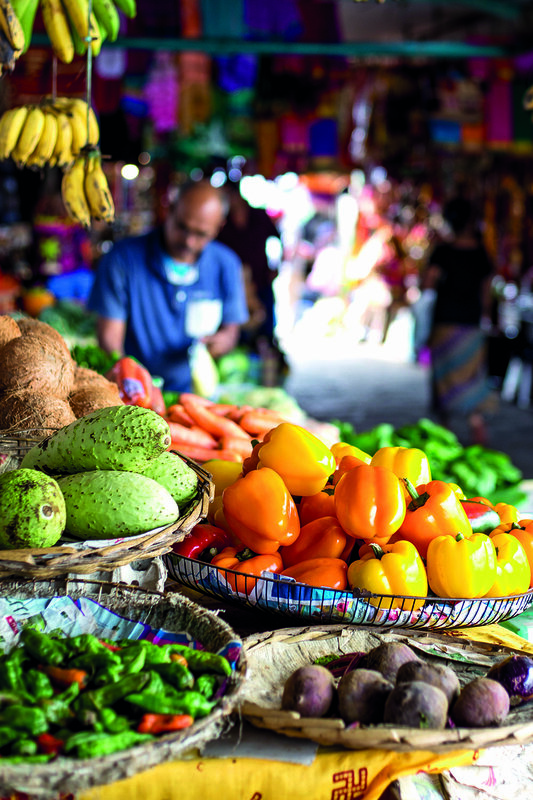 The relaxed mood of the place sets the tone for our scenic jaunts; from La Gaulette beyond Black River Gorges National Park and on to Tamarin Bay, we run past natural ‘aid stations’ along the way – stalls sell street food that doubles up as trail-running snacks: dholl puri and gato frire. A few sharp blows with a machete, and we greedily draw fresh coconut water from a jagged hole, replacing lost electrolytes. Following the coast from Tamarin Bay, we wade through the Black River, then scramble over rocks, at times canopied by coastal forests, onto the white sands that eventually become Flic en Flac, reputed to be the longest and most beautiful beach in Mauritius. In Le Morne, south of La Gaulette, we tackle a variety of conditions underfoot. Smooth, straight and dark road becomes cobbled; we pass popular resorts; the road (now dirt) emerges at the lagoon, then on, towards the area’s famous namesake mountain. 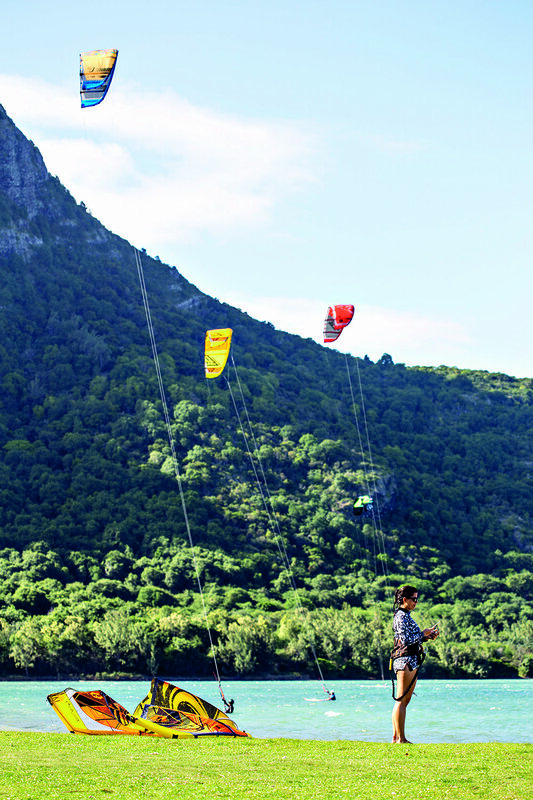 Le Morne Brabant itself is a peninsula that has its own microclimate, including a steady wind, and the beach is all-action; there are pop-up kite schools, and kitesurfers from around the world are here to learn or practise their sport. 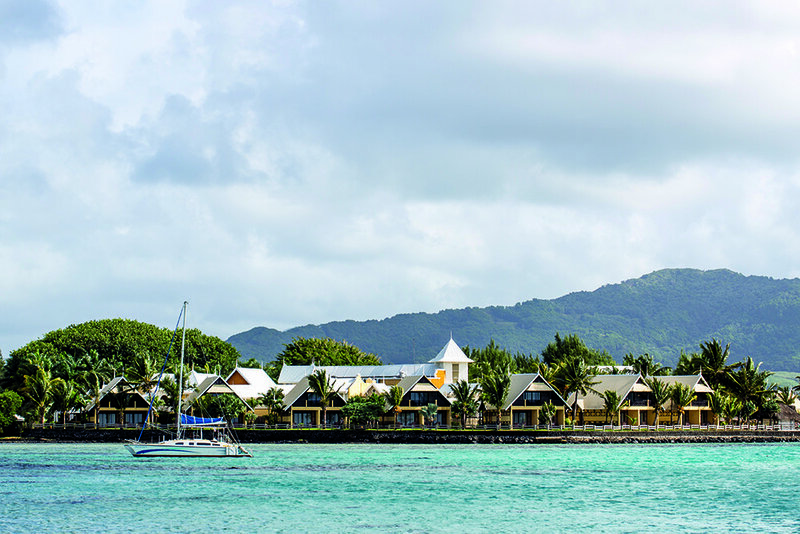 Postcard-pretty Le Morne Brabant Mountain creates a visual effect you won’t forget. Though small, at 576m, this hill is imposing in stature, and beckoning in its allure and legend. Escaped slaves are purported to have jumped to their deaths into the Valley of Bones, because they mistakenly thought the police were trying to recapture them. In fact, law enforcement was attempting to notify them that slavery had been abolished, and that as a result they were free. We half-run, half-hike to the top. From the summit you can see the ‘underwater waterfall’, an optical illusion created by a channel in the lagoon, only visible from the skies. Our second week is spent at Pointe d’Esny, in the Grand Port District, on the south-eastern side of the island. Once again, we choose to stay in a village between two of the better-known destinations in the area: the coastal town of Mahebourg, around which the District is centred, and Blue Bay, the swimming beach famed for its clear, deep waters and Filao trees. Our house opens onto a narrow strip of white sand between us and glass-clear waters. An anchored wooden dhow bobs inside the reef by a shipwreck, where the Indian Ocean becomes dark and waves thunder. Our days are spent snorkelling, marvelling at the abundantly colourful sea life and diving for cowrie shells. The nights we spend either on the deck or on the beach, sipping Green Island rum, in slight disbelief at where we are and how surprisingly accessible and close Mauritius is to South Africa. Home to the airport and abundant with sugarcane fields, this stretch of coastline is relatively flat. Further north, there are trails heading inland; but we choose to run on the local roads, beaches and coastal forest trails. First light is around 6:30am at this time of year; it’s tempting to sleep in when you are on holiday, but the depth of colour at sunrise is exquisite, and framed many of our memorable excursions. In the La Cambuse public beach forest we pass abandoned buildings only to stumble upon an armed National Coast Guard troop, hunched in the bushes during a training exercise – truly surreal. From Santosha we traverse basalt rocks that plunge into the lucent waters, slippery as marble when wet, and sharp as sharks’ teeth; past Preskil resort and its chorus of birdsong, and onto Mahebourg market: at times an olfactory assault in the form of dried and salted seafood, at others a delight in the form of spices and fresh produce; never dull, and unforgettable. The South African winter becomes a rapidly fading memory when you’re basking in the setting sun, barefooted, boardshort- and T-shirt-clad, sipping ice-cold Phoenix beer. Avoiding the ‘package’, ‘resort’ and ‘honeymoon’ approach to travel synonymous with Mauritius, we’ve found a holiday destination fit for the gods – with a pocket-friendly price. Mauritius’ reputation for being expensive belies the reality: we have an affordable, naturally bejewelled gem right on our doorstep, one that many of us miss by not considering it from an alternative perspective. As we ascend towards the heavens, homeward-bound, I fix my gaze wistfully on the fading island, soaking it in to the last. SAA flies to Mauritius direct from Cape Town, Johannesburg and Durban; from Cape Town, we found it cheaper to fly via Joburg (flysaa.com). Black River: Sunset Mauritius – various options, depending on which village you choose to stay in (sunsetmauritius.com). Grand Port: Santosha Bay – described as an almost-private beach. Two villas, two bungalows, or an apartment to choose from (mauritiusguesthouse.com). Ensõ Restaurant and Lounge Bar, La Gaulette, Black River. The food is good, the atmosphere relaxed, the staff friendly and the cocktail menu extensive (find them on Facebook). Blue Bamboo Restaurant, Pointe d’Esny, Grand Port. Italian, creole, fusion. Excellent pizzas. 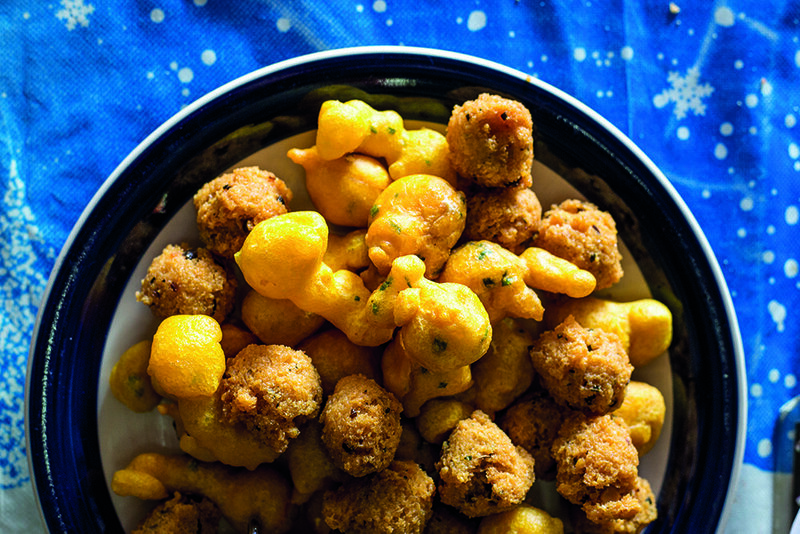 Try their home-made flavoured rums (blue-bamboo.restaurant.mu). Getting there, you’ll fly directly over Madagascar – at 588 000 square kilometres, it’s the fourth-largest island in the world.